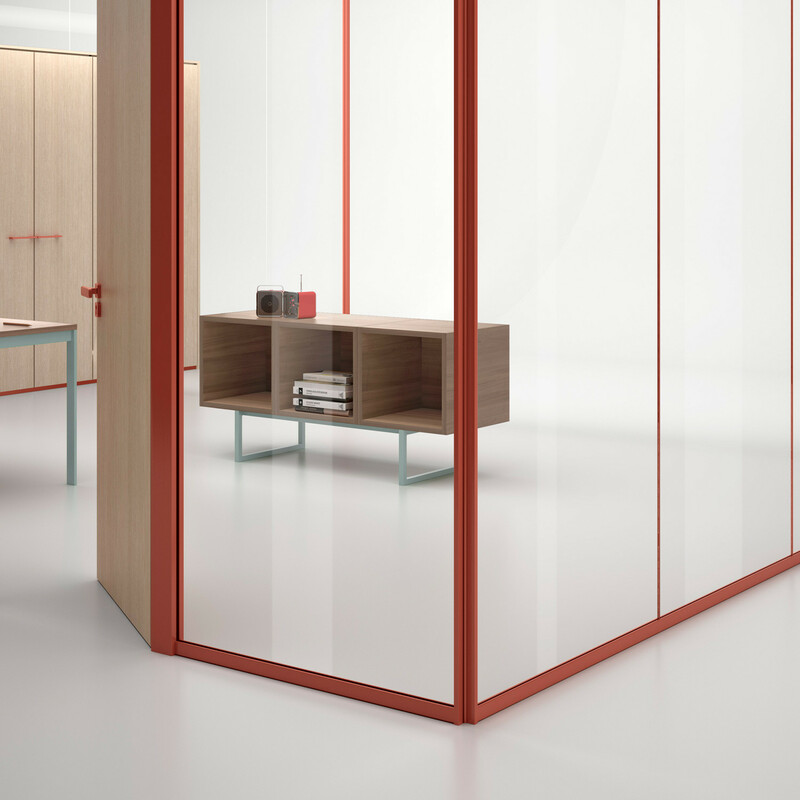 Wallsystem Partitions is a collection of high-end mobile internal glazed partitioning that divide space with colour, integrating mobile glazed walls and furniture: Architectural components interacting with internal office furnishings. 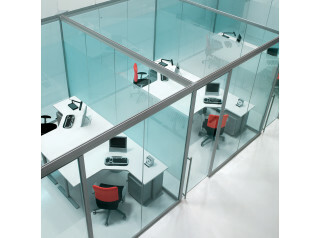 Wallsystem partitioning effectively create lines of colour that brighten and renew your office, not anonymous glass cubes, but, surfaces that separate and invigorate the environment with style. 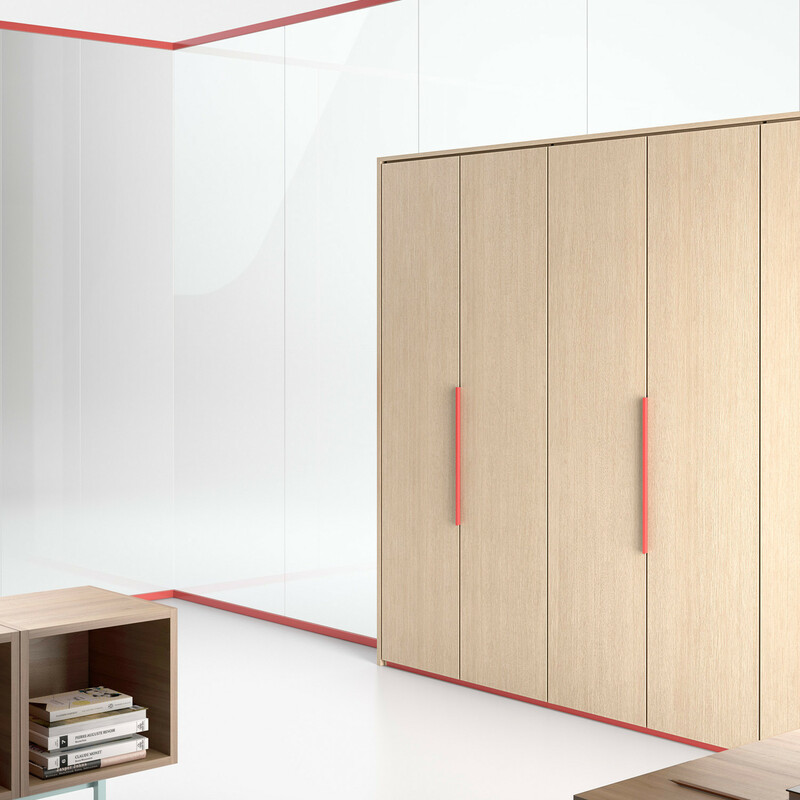 Wallsystem Partitions give you quality, flexibility and allow you to personalise your interior. 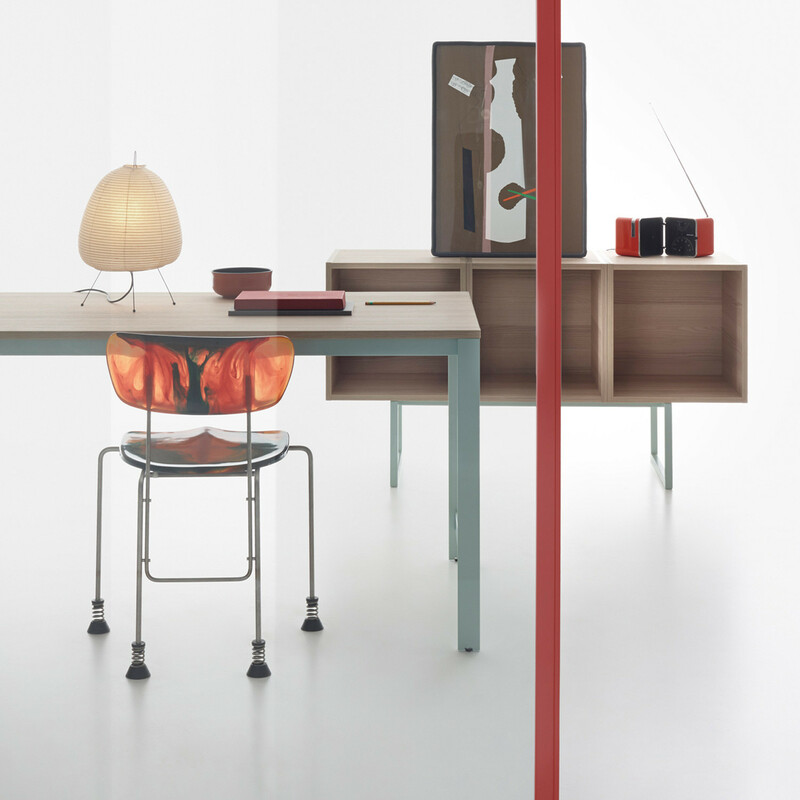 A design that combines awareness and consciousness in the use of its materials, consideration to the environment, tailor made with attention to detail. 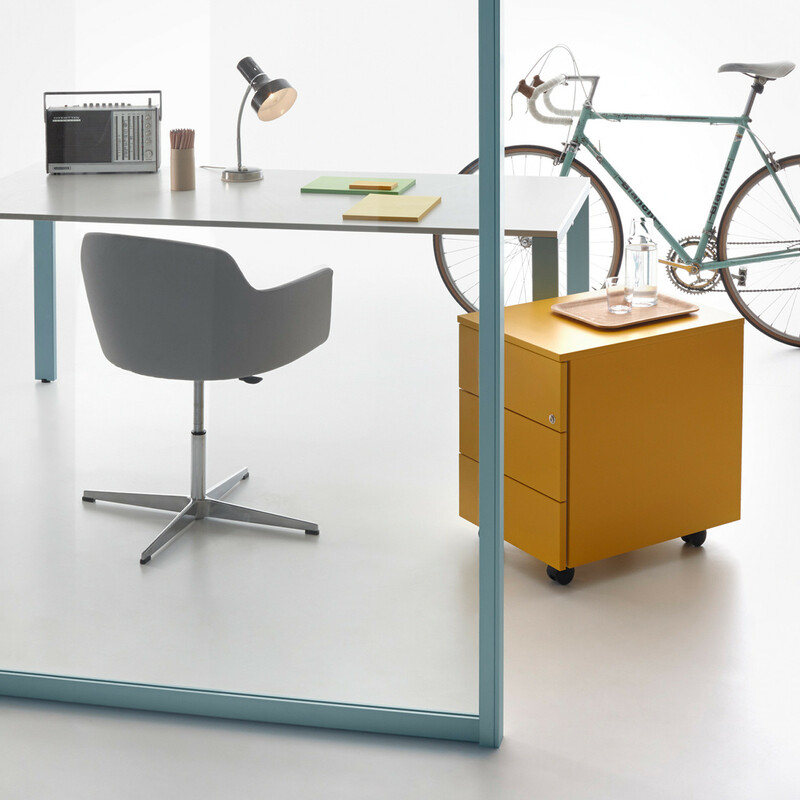 Not only traditional offices, but spaces that reflect new human necessity: the open office, the home office, but also environments that are more domestically shared with informal and personal areas, kitchen spaces and relaxing areas. 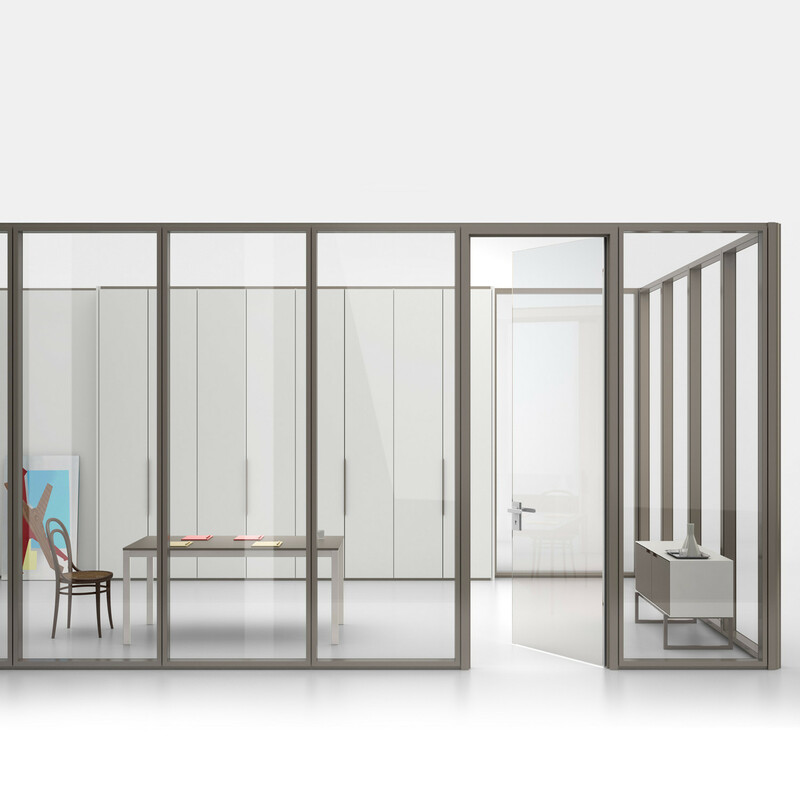 Wallsystem Partitioning is 104 mm, organised by a steel profile bearing structure. 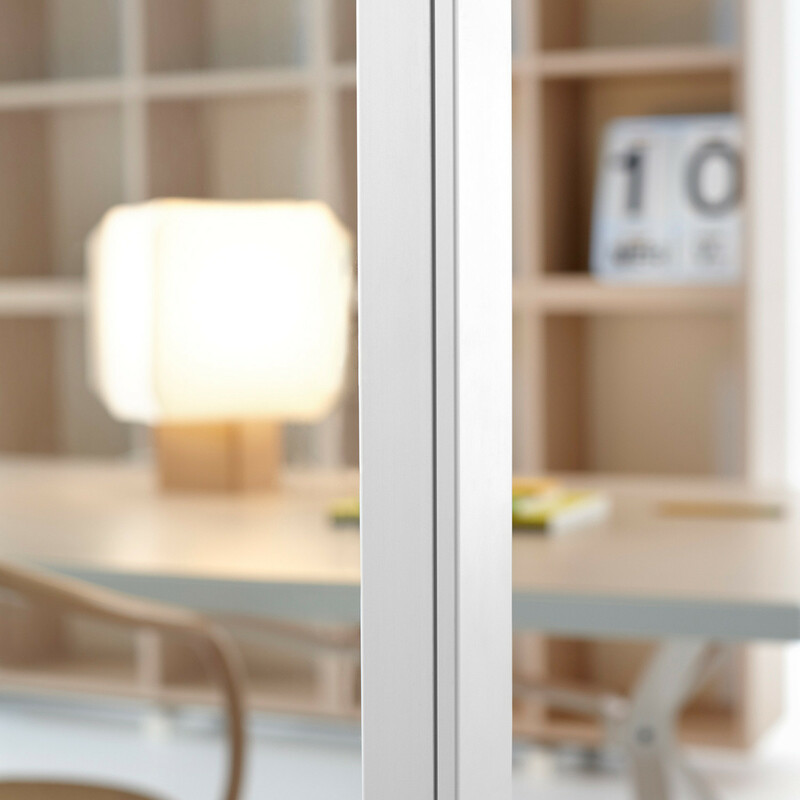 The floor and ceiling profile guides are made of an extruded aluminium alloy. The wall is made from aluminium laminates. The wooden panels are made in wood. 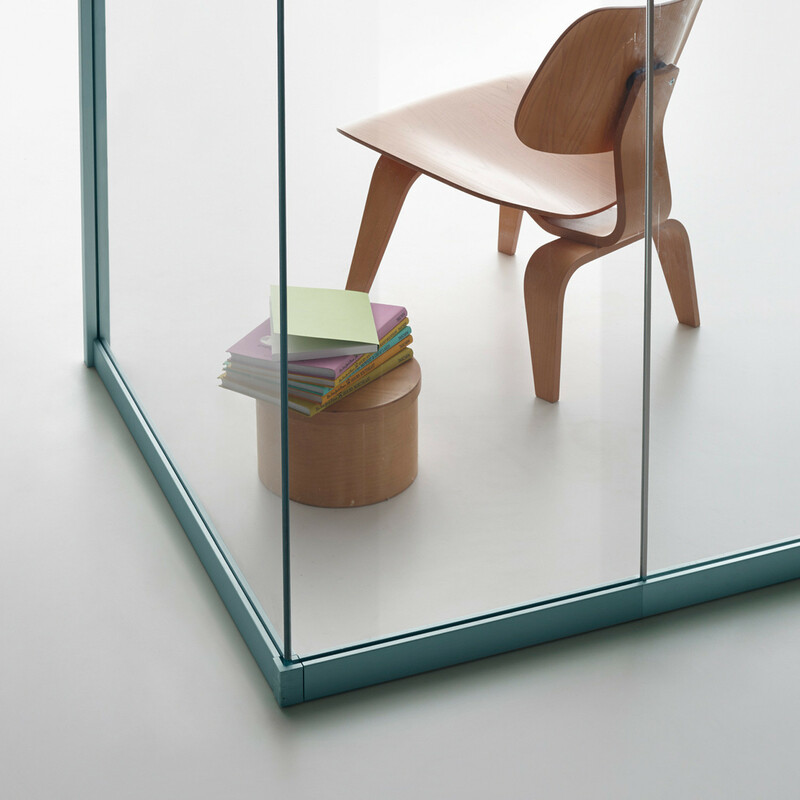 In the glass modules, profiles are made of aluminium alloy. The modules shown in the chart have 500/1000/1500/2000 mm widths. The dimensions, the height and width of the modules can be modified on request by the client based on the requirements of the project. 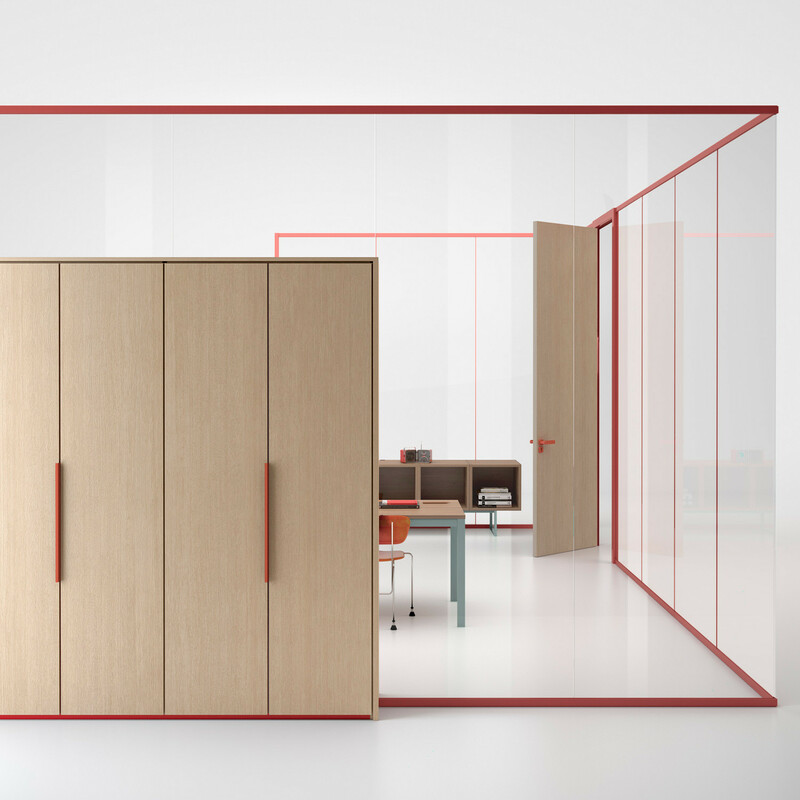 You are requesting a price for the "Wallsystem Partitions"
To create a new project and add "Wallsystem Partitions" to it please click the button below. 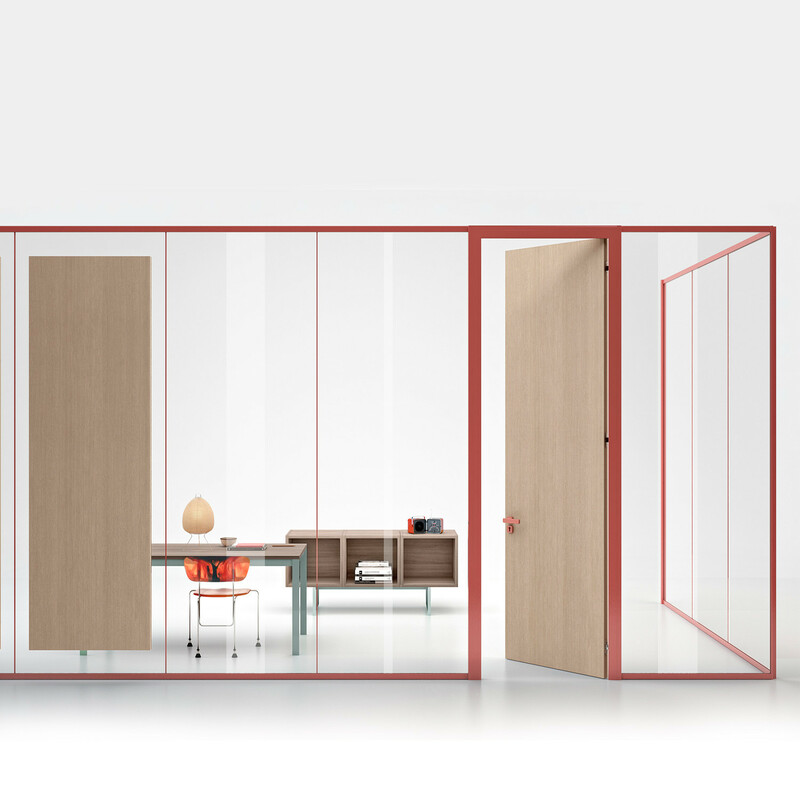 To add "Wallsystem Partitions" to an existing project please select below.